Dr. Kadak has a diverse background ranging from day-to-day operations of nuclear plants to senior executive utility management to teaching in the Nuclear Science and Engineering Department at the Massachusetts Institute of Technology. Dr. Kadak has led license renewal of operating reactors, systematic evaluation of older plants to allow them to demonstrate compliance to new regulations, financial rate proceedings to assure adequate capital for safe operation, innovative fuel purchase agreements, high level nuclear waste disposal, and storage solutions. His technical background has allowed him to actively direct regulatory strategy dealing with reactor vessel embrittlement, safety analyses, boiling water reactor pipe replacements and how to manage aging of nuclear plants. He presently consults on decommissioning of nuclear plants and has served on safety review boards of nuclear utilities. Dr. Kadak also served on the Senior Nuclear Safety Oversight Board of the Daya Bay Nuclear Power Stations in Guangdong Province, China. Internationally, he participated in an IAEA inspection of the Onagawa Nuclear Power Station after the Fukushima nuclear accident. Dr. Kadak was formerly President and CEO of the Yankee Atomic Electric Company (YAEC) that operated the Yankee Atomic Nuclear Power station. Yankee also provided engineering, safety and environmental support services to Vermont Yankee, Maine Yankee, and Seabrook station through its Nuclear Services Division. 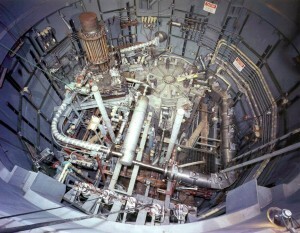 Yankee also provided engineering consulting services to other nuclear plants in New England and the US. During his tenure at Yankee, Dr. Kadak held project management positions supporting several of these reactors and was Vice President of the Nuclear Engineering Services before becoming President and CEO. Dr Kadak was President of the American Nuclear Society in 1999-2000. 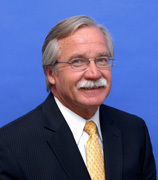 He has served as a board and executive committee member of the Nuclear Energy Institute and the industry’s Advisory Committee on High Level Waste. He has served on many nuclear industry committees including Edison Electric Institute, Electric Council of New England, and the Electric Power Research Institute. In 2005, Dr. Kadak was named by President Bush to serve on the US Nuclear Waste Technical Review Board for two four year terms. From 1998 to 2010, Dr. Kadak was a Professor of the Practice in the Nuclear Engineering Department of the Massachusetts Institute of Technology. His research interests include the development of advanced reactors, in particular the high temperature pebble bed gas reactor, space nuclear power systems, improved technology neutral licensing standards for advanced reactors and operations and management issues of existing nuclear power plants. In addition to being an NECG Affiliate, Dr. Kadak is consulting under Kadak Associates, Inc.